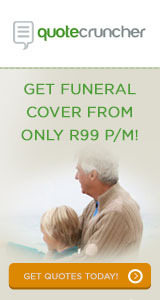 Funeral Guide is welcomes a high volume of visitors. We are grateful for all the wonderful feedback. We have however become inundated with queries and are no longer able to attend to all of them. Please assist us by taking a few moments before you contact us to make sure that your query is not already answered in the FAQ or elsewhere on the website. Where did you hear about Funeral Guide?